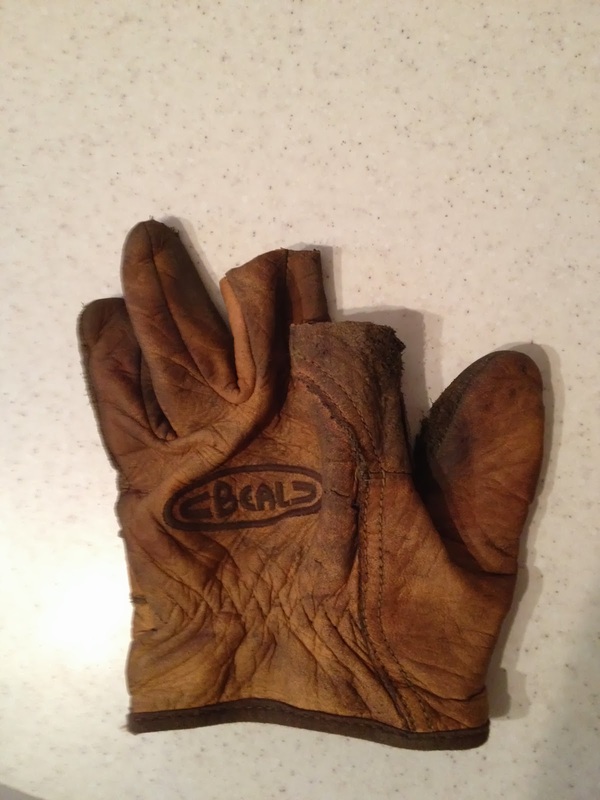 Always on the quest for a decent work glove I decided to give these a go. I got them at the start of the year and have used them on and off for the last 3 weeks or so both on the ground and for climbing. First impressions were good, they were comfy right off the bat, a good fit with nice dexterity. 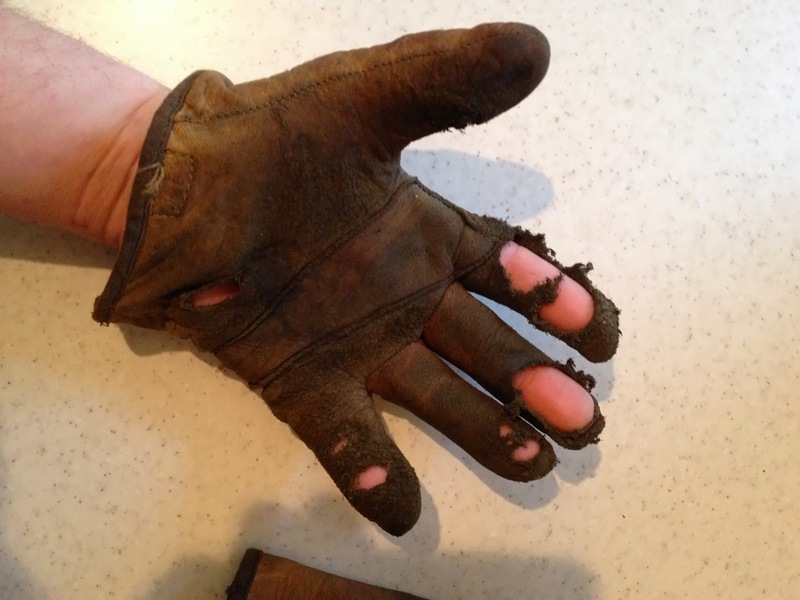 Being quite a short glove, with a loose cuff, means that they do have a tendency to accumulate sawdust and bits of dirt, which inevitably work there way to the finger tips and effect the comfort some what. That said it does make them easy to slip on and off, making them safer for chipping and would help with staying cool in the summer months. Made from quite a thin soft leather they still manage to provide a reasonable amount of protection from thorns and rough bark whilst maintaining flexibility and a good range of movement, but unfortunately this softness is also there main flaw. I think the pictures speak for themselves here. This ware is from less than 15 days worth of use and at £20ish/pair not really great value for money! In there defence they are not really designed for tree work but aimed more at mountaineers and big wall climbing that said they do advertise themselves as being "designed for the most demanding rope work around" which to my mind should definitely include tree work. 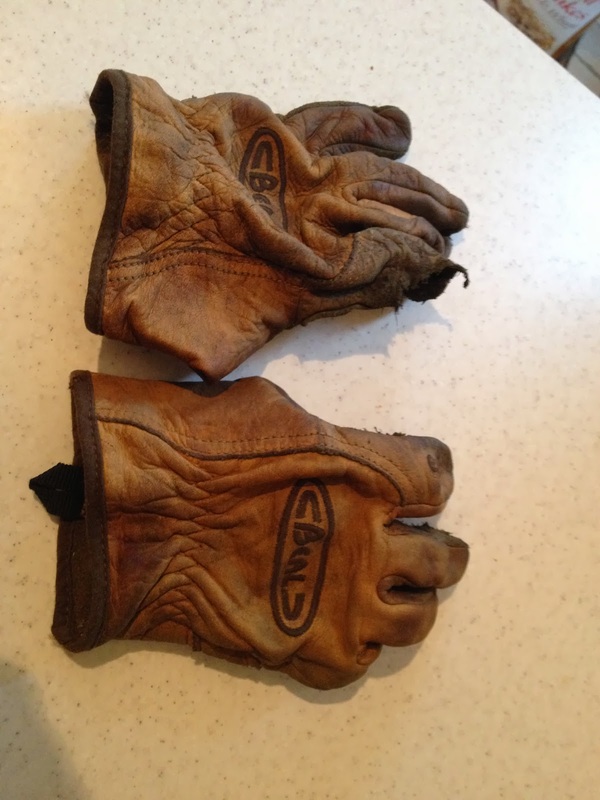 I have no doubt if you used these for mountaineering and the like and only wore them for a few hours here and there then you may well end up getting years of use out of them but unfortunately they are not really durable enough for tree work. 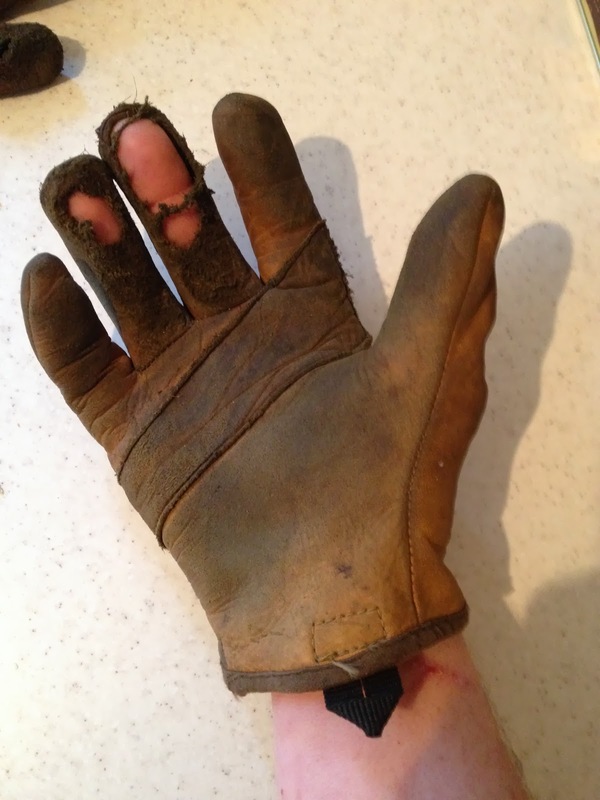 When looking for a good work glove it can be a bit of balance. You either need something cheep and cheerful that you're happy only to last a week or so. Or if spending a bit more you expect the quality to increase as well as the durability, I'd happily spend twice what I spent on these if I knew I'd get at least 6 months out of them. By cutting the finger tips off I may well get a few more weeks work out of them! 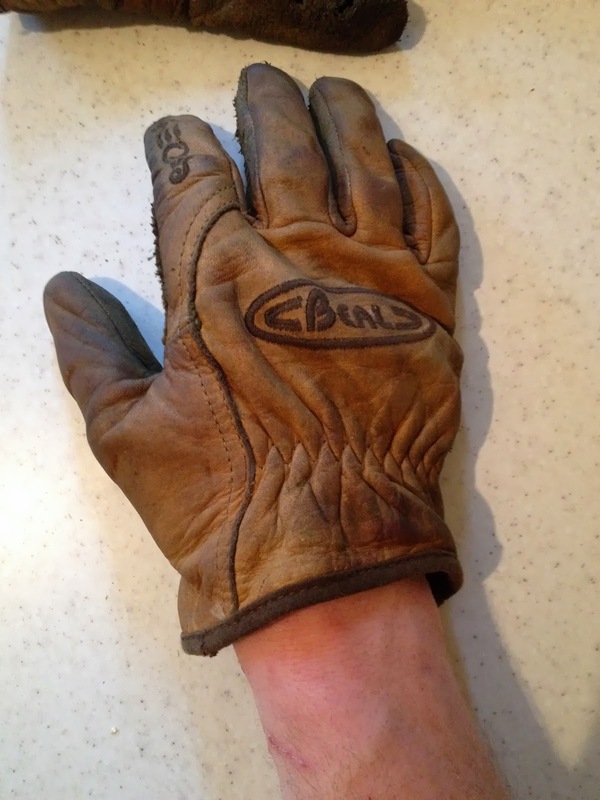 Shame really as they were a really comfy glove to wear day to day.